We managed a recent event for our top clients, to thank them for their support in true Mask style. 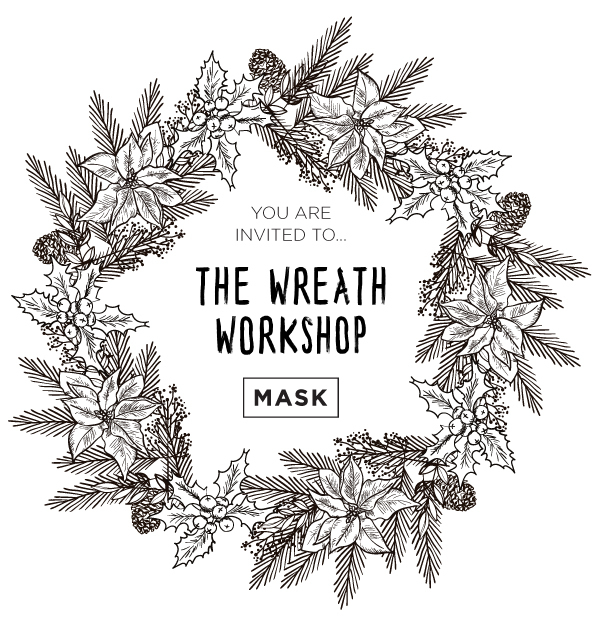 The one of a kind wreath-making workshop took place in London’s newest foodie hub: Flat Iron Square. A handful of our clients were invited to the private workshop with Worm London at a unique pop-up work space run by Tinct at Flat Iron Square. After a short demonstration guests put their creativity to the test and got their hands dirty making a Christmas wreath, which they could then take home. Worm provided an extensive collection of dried plants (perfect for lasting through the festive season) as well as some more unusual items such as cones, shell, feathers and birds nests. Guests were fuelled by plenty of mulled wine throughout the night to get them into the Christmas spirit. After the workshop we sampled some of the exceptional food available at Flat Iron Square. We even had a special guest host for the evening; the charming Whisky. What more could you want?! Worm are a new florist on the London scene but we adore their work. Each of their unique bouquets are inspired by books and change daily. If would like help arranging your own wreath making workshop or another bespoke event get in touch with us; we’ll create the perfect event, just for you.